De Palma Blu-ray release date was set for September 13, 2016 and available on Digital HD from Amazon Video and iTunes on August 23, 2016. A conversation with iconoclastic writer and director, Brian De Palma, whose films have terrified, enlightened and divided audiences since the 1960s. This straightforward documentary simply consists of the 75-year-old filmmaker sitting in front of a fireplace and chronicling his life and career. 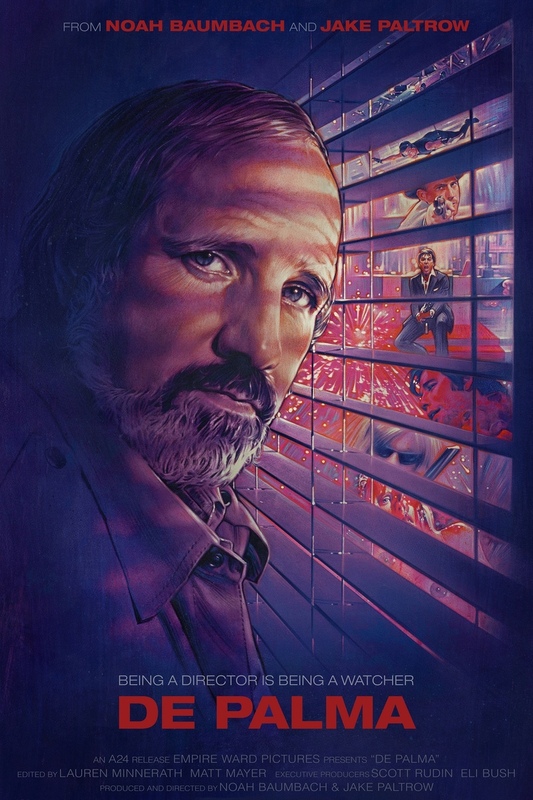 De Palma talks in depth about his most successful films, including 'Carrie,' 'Scarface,' and 'Mission: Impossible,' but gives equal time discussing his lesser known gems, such as 'Blow Out' and 'Casualties of War.' Much like De Palma's films, the conversation with the director himself is often captivating, humorous and uncompromising.